The audience of the Wallace Theatre on March 7 was composed of those chattering quietly and others who were using their hands to speak as all awaited the anniversary screening of “Found on South Street,” a film by Jonathan Blair, California Baptist University alumnus, that aims to teach people the value of respect within the deaf community. Since its premiere March 8, 2015, the movie has won multiple awards, taking home more than 15 from the 2015 Global Independent Film Awards and has received great acclaim for its accessibility for both hearing and deaf individuals. After the screening of the film, the audience waved their hands in excitement while the cast and crew took the stage for a Q&A session. They discussed plans for a sequel, told stories of deaf people coming to Christ and how William “Rusty” Bailey, mayor of Riverside, happened to meet the crew while location-scouting and played a key in the film coming together. The plot revolves around a deaf man, played by Austin Cary, CBU alumnus, as he invents a controversial device to help restore hearing before losing himself to his vices. The movie has a powerful spiritual message and uses the ongoing divisiveness within the deaf community over cochlear implants as a means to convey the beauty of acceptance. 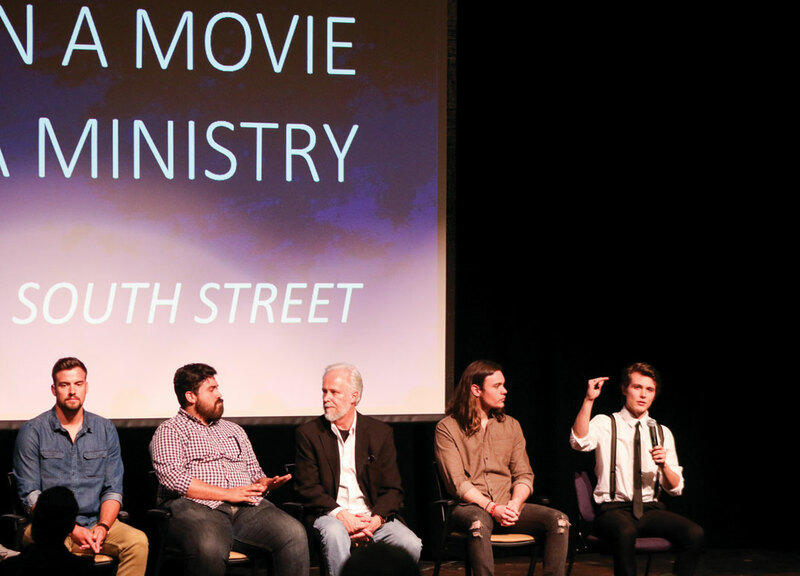 Dr. Daniel Blair, CBU assistant professor of American Sign Language, director for the Center for Deaf Studies and Jonathan’s father, said requests for the film to be screened have been coming in as the cast and crew hope to eventually show it in every state. He said for their next film they want to take it beyond the story of a man in Southern California to a place where opportunities are not as abundant.